Budget: Willing to spend money to get off the beaten track, but I am trying to keep the budget low as possible. I would rather spend money on getting to a remote location than spend it on a fancy resort. While I labeled these as the must see locations for me, I would add several other locations depending on the season, length of trip, and whom I was traveling with on my trip. How much time to spend in Monteverde, Arenal, and Corcovado National Park? 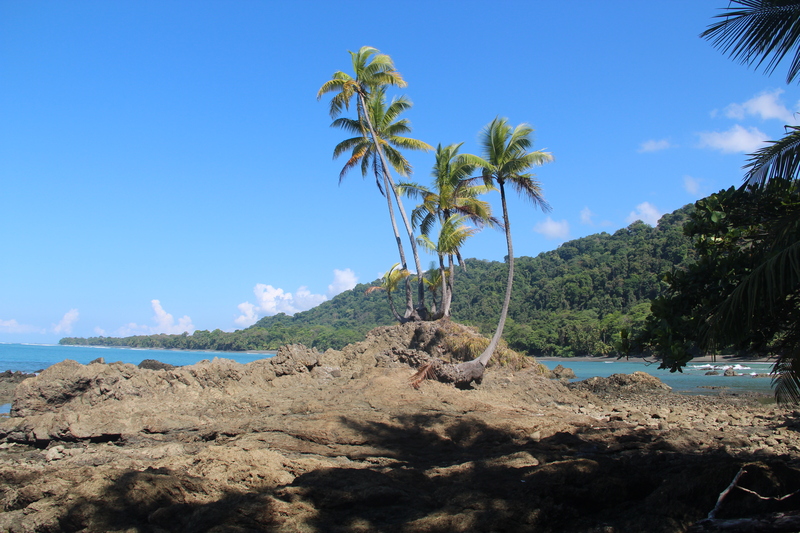 Corcovado National Park is the most biodeverse place in the World and is a “Must See.” (in my opinion) From reviews, most people raved about this location. While I have yet to visit Corcovardo National Park, I would skip this park if you are tight on budget and/or limited on time. Since I really wanted to experience Corcovardo National Park, I really wanted to do a multi-day trip. In most reviews, travelers indicated that spending multiple days in the park is a must. In particular, they mentioned spending a night at Sirena. Most multi-day trips in Corcovardo National Park are three days. It is one day to Sirena, day at Sirena, and a day back from Sirena. These 3 day /2 night tours cost roughly $500. The expense is largely driven by the cost of meals at Sirena that are $20+ a meal. This tour is less common than the 3 day / 2 night tour. I did find this tour being offered at some of the above locations, but they all start at 5 or 6 am in the morning. They will not wait for you. These tours skip the second day (night) in Sirena. The best trip that I found is one that goes through Los Patos to Sirena and then back to Puerto Jimenz. Private guide costs $150 per day. Meals, included in the group tours, add substantially to the cost of the actual cost. In short if you are willing to bring food with you, it can actually be cheaper to hire private guide than go with a tour company. 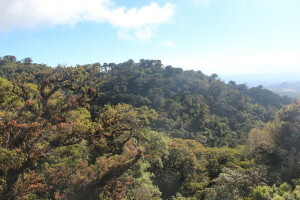 This company, OSA Corcovardo Tour and Travel (http://www.soldeosa.com/), can hire the guide for you. IN THE END, I DECIDED TO HIRE PRIVATE GUIDE FOR CONVENIENCE. I DID NOT HAVE TIME TO DO THREE DAYS AND DIDN’T THINK 3 DAYS WAS NECESSARY. BY HIRING PRIVATE GUIDE, I HAD THE OPTION TO GO THROUGH LOS PATOS TO SIRENA AS OPPOSED TO JUST ON THE BEACH. IN ADDITION, THEY WOULD PICK ME UP FROM AIRPORT SAVING ME A DAY. Most people recommend spending several days in Arenal. I personally feel that I can do adventure sports in a number of cities around the world. I want to do only what I can do in Costa Rica. 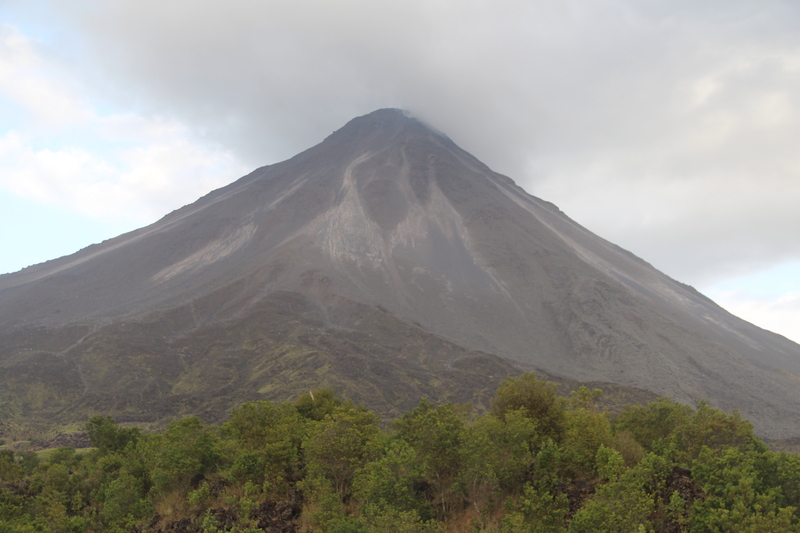 To me the only thing that I can do in Costa Rica is to see the Arenal Volcano. With a little luck, I will see lava. Anything on top of the volcano would be considered a bonus. As a result, I am only looking to spend 1 DAY in Arenal. Monteverde is also another location that individuals indicate travelers could spend multiple days at the park. There are a number of trails at the park, but they could easily be hiked in a day for someone fit. The other big activity is Ziplining, which takes an hour or so. As a result, I am only looking to spend 1 DAY in Monteverde. How to fit Arenal, Monteverde, and Corcovardo National Park in 4 days? What mode of transportation to get to Corcovardo National Park? While it is possible to rent a car in Costa Rica, I ruled against this option as I was traveling solo and do to expense. The favorite travel option for many “Extreme Travelers” is buses. Grayline and Interbus offer a higher quality level of service, but they are a more expensive mode of transportation. There are no night options as well via airline. With all ground transportation not being an option, I then needed to look at flights to Corcovardo National Park. Since I wanted to do a multi-day trek and wanted to hire a private guide, I felt it was best to fly into Puerto Jimenez. With my desire to minimize time traveling, I decided it would be best to take the 5:40 – 6: 50 am flight. Since I flied in from the U.S. the night before, I also did not have option of taking a late flight the previous night. The result was that I needed to hire a private guide to ensure a day wasn’t wasted in transport and staying in hotel. If I wanted to get a flight back on the second day of the tour, I would have needed to hire a boat back to Puerto Jimenez that would have cost several hundred dollars. Instead, I have decided to fly back early in the morning to San Jose. What mode of transportation to get to Arenal from San Jose? Nature Air offers a 20 minute flight for around $80 from San Jose to Arenal that leaves at 11:40. What mode of transportation to get to Monteverde from Arenal? You can take a long bus ride (8 hours) around a lake to save a couple of dollars or you can take the Taxi-Boat-Taxi transportation for $25 dollars and to the journey in 3 hours. This transportation leaves at 8:00/8:30 or 11:00/11:30. My desire was to take the Taxi-Boat-Taxi that leaves early in the morning. What mode of transportation to get to San Jose from Monteverde? There are no options to fly from Monteverde back to San Jose. There are a variety of bus options that take 4.5 hours. Once again, there are no night bus options. If you are traveling to a number of locations in Costa Rica, you should think about getting a week pass from Nature Air. In the high season, it costs $309 dollars. You can buy it via calling them at -800-235-9272. If traveler is staying longer in Costa Rica, I would recommend heading out to Jaco or Tortuguero. Can you do it any faster? Any other “Extreme Travel” itineraries in Costa Rica?